Auckland is a modern cosmopolitan city in the North Island of New Zealand. Attracting investments from across the globe owing to its time zone and unique location between Asia, Australia and the United States, this city registers a demand for skilled and knowledgeable professionals in the sphere of software development. In line with this demand, the host of emerging technology companies of the city can make the most of the technical courses offered by KnowledgeHut. What is the course all about? Agile methodology is the most adopted practice by software companies. Using scrum framework for agile comes with a benefit to develop modules separately. Since changes to the code made in one module do not affect the others, scrum practices are highly popular. 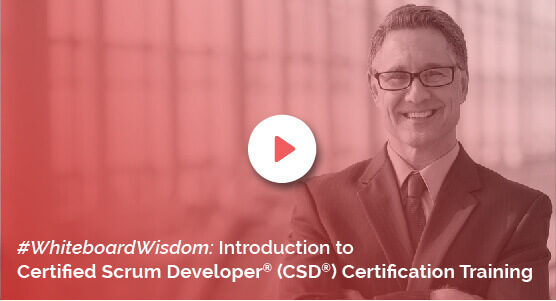 Offering a cleaner and highly efficient approach, KnowledgeHut?s CSD certification in Aucklandcaters to the needs of developers to gain expertise in the scrum framework. CSD course in Auckland covers the basic and advanced features and principles of scrum framework during first phase. During the second phase, CSD training in Auckland focuses on real world simulations while providing technical training and practice sessions from an expert trainer. Benefits of the course: CSD training in Auckland offers better job prospects for developers by honing their scrum framework concepts. CSD Certification in Auckland offers the CSD certificate which is considered a credential for the fundamental and technical knowledge in using scrum framework. Post the certification, the scrum alliance website allows developers to have their own profile page and specially designed logo. As part of student-friendly benefits, KnowledgeHut provides comprehensive course material, downloadable e-books and 100-days free access to agile and scrum e-learning program. The KnowledgeHut Way: Registration for KnowledgeHut?s Certified Scrum Developer Certification in Aucklandcomes at a low cost; all inclusive of the Scrum Alliance Certification Examination fee. Along with the affordability comes the convenience of completing an online course after which one can take pride in his promising career strengthened by the CSD Certification in Auckland.